While there have been multiple rounds of credit tightening in the last few years and countless comparisons to the U.S. housing meltdown, it’s important to also look at the underlying health of our lending and credit markets. This is especially relevant in light of recent news articles again indicating that the amount of household debt is “triggering alarms” (http://www.theglobeandmail.com/globe-investor/personal-finance/household-finances/record-high-household-debt-in-canada-triggers-alarm/article2269210/). While it’s true that our debt to income ratios are at record levels (>150%), it’s also important to keep perspective. While total debt (mortgages, lines of credit, credit cards, etc) to income ratios in Canada have hit 150%, average mortgage interest rates this past year were 3.92% (30 basis points below a year earlier. The most common use for funds taken from equity take-outs (refinances) in the past year is debt consolidation and repayment which reduces other forms of debt. Contrary to the concerns of some, by using a mortgage as a debt consolidation tool, total servicing debt costs are often reduced. This gives clients a potential strategy for reducing their total outstanding debt by using excess cash flow to more aggressively pay down that debt. The Government has established a benchmark for qualifying mortgage customers at higher rates if they are taking an Adjustable Rate or a Term less than 5 years. On average that benchmark rate (average 5.38% in 2011) has been 1.46 points higher than the 5-year discounted rates and 238 bps higher than PRIME, which is currently at 3%. This means clients who have chosen ARMs or terms less than 5 years have built in some buffer in the event interest rates do rise prior to renewal or during the term. It is widely expected that during the course of present term mortgages, rates are likely to increase prior to renewal dates. Keep in mind that if interest rates rise, it is often correlated to a stronger economy. With a stronger economy comes improved employment levels and earnings. While many are predicting an eventual increase in interest rates the current consensus based on Canadian economic forecasts and the European economic crisis is that rates are likely to stay low here in Canada for some time. That is the dilemma. What is needed is more spending and less saving but not via increased credit which is difficult to achieve. The bank will have to run the risk that credit growth will continue so long as interest rates stay at these low levels. When Bank of Canada governor Mark Carney made his inaugural speech as head of the banking industry’s global regulator on November 8 he said the world economy is getting hurt by a slump in liquidity, meaning banks are less willing or less able to lend money. And because global liquidity has fluctuated over the past five years, Carney said that Europe is already in a recession. He used the 2008 collapse of the U.S. investment bank Lehman Brothers as an example. The impact of that was that banks shied away from lending to both companies and consumers. That helped plunge the world economy into a major recession. Clearly, if banks stop lending, consumers stop spending and businesses stop spending. For an economy to function, money needs to keep moving. There has been talk recently that Carney might lower the prime interest rate to keep inflation in check. Carney has also said that the Canadian economy won’t fully recover until well into 2013. Currently the prime rate is sitting at 1%. Inflation is approximately 2.7% and is predicted to slow to 1% in the second quarter of 2012. The Bank of Canada likes to keep the inflation rate between 1 and 3%. So what does that all mean for Canadians? · For example, on November 27, Finance Minister Jim Flaherty eliminated $32-million in manufacturing tariffs. This will allow businesses to lower their costs, enhance their ability to compete globally, which will help stimulate growth and job creation. · On November 23, Mark Carney said he would stay flexible on interest rates. Despite the fact that inflation has been creeping higher, Carney said that although it may take longer to return inflation to target, being flexible with the rates will protect the country from any economic and/or financial shocks. These changes likely won’t have a direct impact on most Canadians but the after effects will. They include more jobs, higher profits for all businesses, access to low cost money for home buying and investing, stable housing markets and a strong and healthy banking system. All of this makes Canada a growing, stable economy that can weather short term fluctuations for a strong and prosperous future. President, TMG The Mortgage Group Canada Inc.
Let’s face it. We live in a world of “sound bites”. My wife and I went for coffee before work and actually had a conversation - one we really enjoyed. Usually throughout the workday we communicate with quick e-mails. Whether it’s deciding on dinner or who will be picking up the kids, because we are both busy people, our Monday to Friday (8am to 7pm) life needs to be efficient. We are not alone. I’ve been hearing the same laments from my friends and colleagues. The unfortunate result is that sometimes things get lost in translation. And quick e-mails or text messages can be taken out of context. This can also cross over into our business lives. Lately, there have been many conflicting messages in the news about the economy and about debt. And when our attention span only offers us 140 characters of space we become more influenced by headlines. Has our economy really come full circle in one short month? Given that the economy was supposedly weak just a couple of short months ago is it possible that we, as a nation of consumers, have already mitigated our high debt concerns? With all this "noise" in the marketplace, it’s no wonder consumers are confused. A recent survey released in November 2011 by The Canadian Association of Accredited Mortgage Professionals (CAAMP) itself highlighted market confusion amongst Canadians. On the one hand Canadians largely agree with the proposition that "as a whole, Canadians have too much debt" with respondents scoring that nearly 8 out of 10. Yet only a few of those who actually have mortgages "regret taking the size of the mortgage [they] did." Clearly there are divergent views among Canadians. What is interesting is when those differences are segmented among those who owe the money and those who hear about those who owe the money. For the most part, Canadians with mortgages are comfortable with their levels of debt. A good broker stays on top of market and can filter through the conflicting messages and get you the right information to you to make an informed decision. They can offer you the right product and terms that meets your unique financial situation. All indicators suggest that the Canadian housing market will be stable in 2012. Low interest rates will prevail, with a couple of economists suggesting that the prime rate will drop from its current 1% up to .50 basis points. The bond market seems to be stable and will probably continue that way given the current European economic woes. Canada Mortgage and Housing Corporation (CMHC) released its Fourth Quarter market update recently and reported that housing starts will stay near current levels and resale values will hold steady. So, for market watchers, 2012 may be a boring year. Or maybe not? Depending on what part of the country you’re in, those working in the industry – mortgage brokers, real estate lawyers and Realtors – are telling a different story. In the Golden Horseshoe area of Southern Ontario, sales have been brisk and industry insiders have been busy. Realtors are predicting increases in resale prices for the Spring of 2012. Housing market insiders in Saskatchewan and Nova Scotia are predicting a busy Spring in 2012. In Alberta, the Calgary market is hot. With the wide range of predictions out there, what can consumers believe? It really comes down to one major factor – employment. If we can predict employment growth, then we can safely predict housing sales, no matter the interest rates. Back in the early 80s, when interest rates were in double digits, consumers were still buying houses in areas where employment was high. In other areas of the country with low employment rates, the housing market was soft. Nova Scotia’s housing market will be busy in 2012 because Halifax just recently signed a billion dollar ship building contract, which will create jobs. The employment rate in the Golden Horseshoe is bucking the national trend and creating more jobs. Adding the possibility of a stronger economic recovery in the US, which would boost employment growth in Canada, perhaps the housing market insiders, who work every day in the field, have predicted correctly that 2012 will indeed, be a busy year for real estate. The days of deeply discounted variable rates seems to have disappeared. Over the past month lenders have been slowly reducing their discounts from as low as P-.80% to now prime and prime plus. There are still a few holdouts -- lenders who most likely see an opportunity for some quick deals -- but it probably won’t be long until those gaps are totally closed. Fixed rates, on the other hand, can be had for as low at 3.39% on a 5-year term (at the time of this writing). When spreads are this tight, it’s no wonder that industry insiders are reconsidering all the research suggesting that variable rates are the way to go. Variable rates have been the most popular choice among homeowners between the ages of 35 and 44 according to a report from Canadian Association of Accredited Mortgage Professional (CAAMP). While there is always a risk that interest rates will fluctuate, there are other factors to consider. The greatest advantage is the long-term savings on interest costs. Research has shown that people have saved money on variable-rate mortgages more than 80 per cent of the time. Online mortgage news source Canadian Mortgage Trends recently interviewed Benjamin Reitzes, Senior Economist for BMO capital Markets who said borrowers won't see the same advantage to variable rates as they have in the past 25 years because the prime rate, which is sitting at 1%, can’t drop 1% -- there is room for a slight cut, which some economists say may happen in 2012, but the stronger likelihood is that rates will start to slowly climb in the latter part of next year. Much of the reasoning for preferring variable over fixed is, of course, the interest savings. When we take a look at the spreads between fixed and variable rates between 1970 and 1995, there is a difference of 126 basis points compared to the average difference today of 50 basis points. That translates into a lot of savings. Although the spreads have been reduced and discounting is disappearing, what hasn’t changed is a home owner’s decision-making process. When variable rates were historically low and fixed rates were substantially higher, many home buyers opted for fixed because they knew exactly how much principal and interest they paid on each regular mortgage payment throughout the term. And for some, having that peace of mind is the determining factor. So the question of whether going fixed or variable still comes down to what makes a home owner comfortable. However, it’s really a win/win for home owners -- with fixed rates so low, and with the prime rate increasing some time in 2012, the fixed rate may indeed outperform the variable rate, but even if it doesn’t, the extra interest costs on fixed rates will be far less than in past years. The ongoing financial woes in the US and in countries in Europe are one of the contributing factors to Canada's stable housing market and historically low interest rates, and these rates will continue right into mid-to late 2012. The variable rate, which is based on the Bank of Canada's Prime rate is sitting at 3% and is likely to stay there right up until mid-to-late 2012. The main reason for this is the very slow economy in the US. The Federal Reserve there has already announced that their prime interest rate will not increase until 2013, hoping that it will create a more fertile ground for economic growth. By keeping the rates low, they hope to stimulate borrowing from businesses and consumers. Because the US is a major trading partner, it forces us to keep our rates low to keep our economy growing while we wait for the US and for Europe to catch up. Fixed rates will start moving up earlier than the variable rate but without major jumps. Benjamin Tal, deputy chief economist for CIBC said in an exclusive interview with TMG The Mortgage Group that fixed rates, which depend on bond markets, will remain relatively stable, with small increases, over the next six to eight months. "It is interesting that, here in Canada, when we believe there will be a slowdown, something happens in the world that helps us and makes our economy stronger," he said. "And because there is uncertainty in world markets, the Bank of Canada won't raise rates until those markets stabilize, which will take some time." Currently, the Canadian housing market and the economy is stable and balanced. Consumers have been listening - they have slowed the pace of their borrowing and have been working on paying off their debts. It is, indeed, an ideal time, when rates are low, to do that. Tal cautions, however, that low interest rates may fuel an increase in borrowing, which has not happened yet, and this could be worrisome in the long-term. "Credit is not a bad thing - it is the electricity of the economy," he said. "We want banks and consumers to be responsible with their borrowing." Low interest rates are attractive but borrowing like there's no tomorrow is dangerous. Eventually those rates will go up and if you're stuck with large lines of credit it may be more difficult to pay them off and could burden the household budget. There is a window of opportunity now to reduce debt loads and pay them outright. If you would like to discuss your options, please contact me. Whether you’re applying for a consumer loan or a mortgage loan, every lender will request your credit report, which is an indicator of how you pay your outstanding debts. This information is calculated into a score, which lenders use to approve or deny you a loan. There are two major credit reporting agencies in Canada -- Equifax Canada and Trans Union of Canada. Both these agencies get their info directly from the institutions where you have applied for a loan. Once Equifax and Trans Union get the information, they will update your file and make appropriate changes. For example, if you’ve moved or if you’ve changed jobs, that information gets updated. Each month, these member agencies, which include banks, finance companies, auto leasing companies, credit card companies and retailers will send information about every consumer loan to Equifax and Trans Union. So if you’ve missed a payment one month, it will be reflected on your credit report. If the next payment is on time, it will cancel out the last report; however, the credit agencies will keep a notation of the arrears. Your credit report and score are important tools for acquiring a loan of any kind including a mortgage. So it’s in your best interests to understand what your credit report is and what’s on there. It’s advisable to get a copy of your credit report at least once a year to make sure all the information is correct. Both agencies receive billions of data each month from banks, finance companies, credit unions, retailers – just about everyone who grants credit -- so it’s easy to see how mistakes could be made. The major sections include: your personal identification, a consumer statement, credit information, public record information, third-party collections and inquires. First and foremost, it’s important to make sure your identification information is accurate. Secondly, your credit information, which shows your payment history, should not exceed 30 per cent of all credit granted. For example: if you have credit cards, lines of credit etc. with available credit of $10,000, make sure you have only used $3,000. Third-party collections need to be cleared up before applying for a mortgage. And finally, limit your enquiries by not applying for too much credit before applying for a mortgage. Too many enquiries lower your score. To access your credit reports go to www.equifax.ca or www.transunion.ca. You can also purchase your report online as an instant download. If you need repairing your credit, your mortgage professional can help. The Bank of Canada has recently kept its benchmark lending rate at 1% so the banks have kept their Prime lending rate at 3%. Fixed rates are heavily discounted – a posted rate of 5.39% can be had for 3.59%. Lines of credit are at Prime plus .50 or plus 1% depending on the lender. However, this cheap money is not without its costs. Canadians are now carrying an enormous amount of debt, not only in mortgages but in non-mortgage debt, including credit cards, personal loans, lines of credit, etc. This, despite the warnings from policymakers of the danger of carrying these debt loads if interest rates do go up. Even the Wealthy Barber David Chilton has jumped back into the fray with his latest book warning about the dangers of saving too little and taking on too much debt. With 24/7 news, our financial state of affairs gets far too much analysis, and we get very contradictory statements. It’s not all doom and gloom. A recent poll found that most Canadians feel they have their debt situation under control. And a majority of those polled saw paying down their debt as more than or just as important as saving for the future. The bottom line is this: Cut your debt while you’re still working and interest rates are low. When rates to go up, you won’t be handing over your well-earned money. Instead, you’ll be on the receiving end because you’ve invested wisely. And with mortgage interest rates so low, it’s easier to reduce mortgage principal since more of your payment is going to principal rather than interest -- look at the low rates as a way of owning your home free and clear sooner. TMG The Mortgage Group Canada Inc. is pleased to announce Dan Pultr as Director of Sales for British Columbia. His unique experience on both sides of mortgage lending (prime and subprime), along with his respect for and commitment to the broker channel, makes him a valuable addition to the TMG team. Most recently, as a Business Development Manager for a non-bank lender, his territory included Victoria and Vancouver Island. His decision to move to the broker side of the industry is based on the relationships he built with brokers and the common values he shares with TMG. "As a BDM I spent the majority of my time working closely with brokers to help improve their business and to ensure that their clients were satisfied," he said. " I believe my diverse background on the lender side will ultimately help the brokers I work with form stronger relationships with their BDMs and underwriters, and provide their clients with a better overall customer experience"
Dan is looking forward to joining the TMG family. 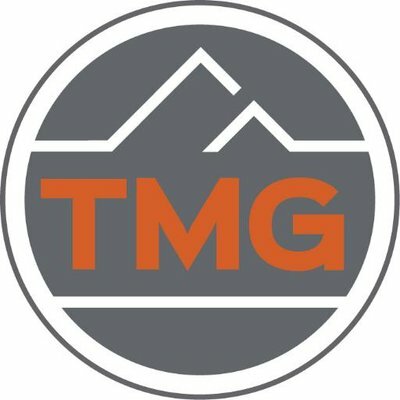 "TMG has really developed over the past couple of years, and I can't wait to help support their growth and vision for years to come." Mark Kerzner, President of TMG The Mortgage Group Canada Inc. has been impressed with Dan from the moment he met him a couple of years ago. "I am thrilled he has decided to join the TMG team. He embodies the TMG values of professionalism, integrity, and putting the customer first. " Dan can be reached at dan@mortgagegroup.com or at 1.888.400.8905.